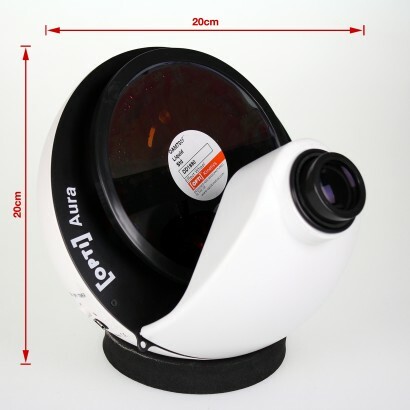 Designed and manufactured here in the UK by a leading effects lighting company that started in the 1960s to create light shows for bands such as Pink Floyd, Cream and the Who, they then turned their expertise into projectors for the disco, retail, exhibition, and therapy markets. 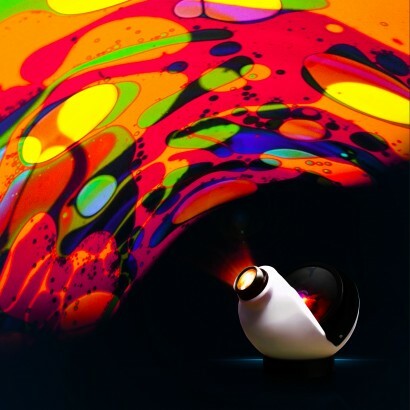 This Aura lamp uses the first ever effect that they produced using a 6" coloured wheel that produces a projected effect of vibrant globules of coloured light, an effect which is still as mesmerising and in demand today. 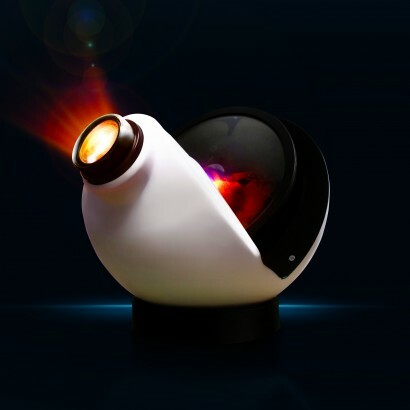 The Aura sensory projector is suitable for all, whether as a home projector to create hypnotic and cool effects for parties, as a soothing light for spas and therapists, or as a great cost effective light for a home snoezelen or sensory rooms. The lamp can project a moving image of any size. 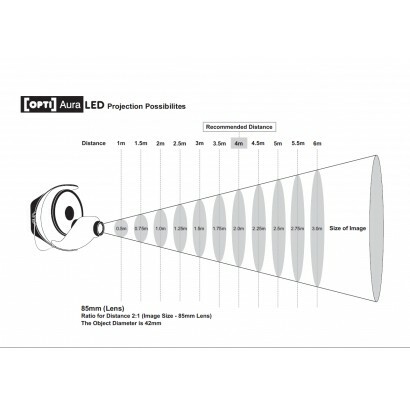 For best results use the projector in a dark room projected onto a light coloured surface. 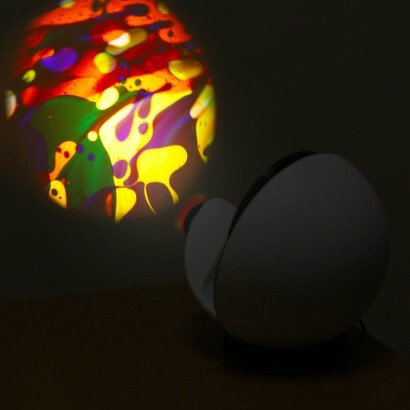 The Aura sensory projector has a simple 'plug and play' operation and can be turned on and off, dimmed, and set to 30 minute timer mode from the unit itself, making it a fantastic night light too. The Aura can be configured to be part of your home network using the Auras own built-in Wi-Fi hotspot which only needs to be done once and then can be controlled using a free App available on iOS and Android platforms. To turn the projector on, move the slider to the right towards full brightness, to turn off, move the slider to the left. The timer settings can be changed via the app with the option of 15, 30, 45, or 60 minute shutdown, ideal for those who want to automatically cut off the projector after a certain time unsupervised. 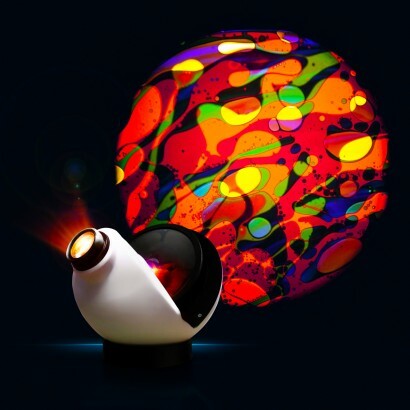 Amazing projector, supplied oil wheel projects stunning colours and ever changing patterns. Good price and excellent service as always from the Glow Company. Very well built and easy to use, you can see from the build quality this is a professional product, the oil pattern is never ending - its mesmerising! Bit on the expensive side but well worth it - ordered from the Glow Company, fast delivery & great service! This is really impressive; ever-changing and quite hypnotising. Whilst I've not yet used the app to control it, this is a great bonus! Only downside is that because of the different layers, sometimes you end up with some quite unattractive sludgy colours which aren't so appealing. Bought for my daughter with severe learning and developmental delays and immobility, whilst she can't tell me it's clear she absolutely loves it, and my other daughter is constantly asking for it on! I used to have the Mathmos Space Projector years ago which I loved, but got this and it is really amazing, there seems to be loads more layers of wax so the patterns are constantly changing, I watched it for hours and it never looked the same.